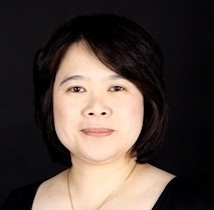 Patricia Lee Men Chin is a course coordinator for first-year and second-year language classes. She is actively involved in curriculum development, course planning and instructional material development. She holds a BA Hons. and a MA in French Literature, and a PhD in Applied Linguistics (with a doctoral dissertation on Learning Strategies in L2 Acquisition). Prior to joining Dalhousie, she also taught at Carleton and the University of Ottawa.